and dark is a miracle. While in the home of a prominent physicist who I greatly admire, I was once asked by a mutual friend and fellow physicist to discuss my experiences with quantum jumps and reality shifts. “Tell him, Cynthia!” my friend urged. After briefly summarizing the key concept that reality shifts and quantum jumps are noticed as seemingly inexplicable appearances, disappearances, transformations, and transportations, as well as changes in the way we experience time—and they include such things as synchronicity and spontaneous remission from disease. 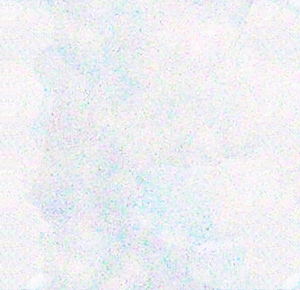 The physicist then asked me, “How often do they happen?” Wishing to provide as conservative an estimate of frequency as possible, I replied, “I notice these occurrences at least once a day.” This was met with an expletive, which though surprising to me at the time, I came to understand from a perspective of a scientist trained to never expect the unusual within scientific laboratory conditions. Some scientists deal with anomalies by ignoring them, since the very concept of ‘miracle’ defies scientific study by virtue of not being replicable, yet there is growing public interest in knowing what insights, if any, our newest scientific theories may bring to the study of how instantaneous changes can sometimes occur without any obvious cause. 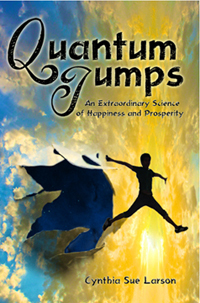 I have found when talking with people of great spiritual faith that one of the easiest ways to describe what my book, Quantum Jumps, is about is to say, “This book describes the science of miracles.” What I have noticed since first starting the realityshifters website in 1999 is that most all the same phenomena that quantum physicists expect to observe at the realm of the very small also appears to be occurring—albeit perhaps not quite as often—at every level of reality. We now have come to expect quantum particles to exist in a superposition of states (such as spin up and spin down), to be entangled with one another, to be able to teleport and quantum tunnel through solid barriers, and we expect them to demonstrate coherence where small particles move with extraordinary synchronization—and what I have been studying and reporting on for the past seventeen years is that all of these same microscopic quantum phenomenon can also be observed at larger scales in our daily lives. 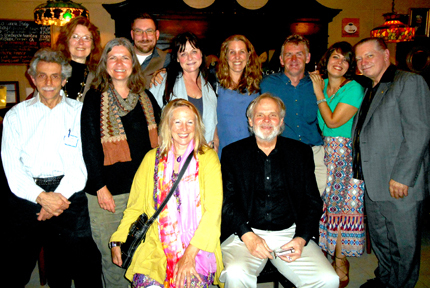 The Foundations of Mind III (FOM3) conference took place in Berkeley May 18-20, 2016, featuring presentations by Menas Kafatos, Fred Alan Wolf, Edward Frenkel, Leslie Combs, Henry Stapp, Jacob Needleman, Arnaud Delorme, Peter Duesberg, Glenn Hartelius, Shelli Joye, Beverly Rubik, Judy Gardiner, Wolfgang Baer, Seán Ó Nualláin, Cynthia Sue Larson, Ashok Narashimhan, Neil Theise, Jack Engstrom, Glenn Aparicio Parry, and many more. With two full days of conference proceedings, this year’s conference was a veritable feast of interdisciplinary ideas, wisdom and information from around the world. The FOM3 conference happily coincided with the release of the first Foundations of Mind book, Dualism, Platonism, and Voluntarism, edited by Seán Ó Nualláin. This book features discussion and dialogue with Henry Stapp and Walter Freeman, among others, and is now available for purchase through the publisher’s website. Videos from the FOM3 conference presentations will be available through the Foundations of Mind website, and papers will be published in the future, too. 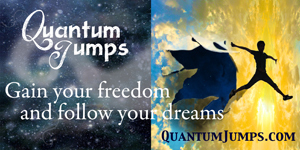 People registered through Foundations of Mind are joining in several threads of on-going conversations begun at the conference, and moving forward to explore topics of the quantum paradigm, consciousness, biosemiotics, and higher education. The remarkable lifetime achievements of Walter Freeman were honored at the start of this year’s conference, with his certificates and diploma on display. Melanie O’Reilly read some words of remembrance written by Seán Ó Nualláin, who got to know Walter while was a visiting scholar in Walter Freeman’s lab at UC Berkeley. Menas Kafatos chaired a session on consciousness, featuring talks by: Menas Kafatos, Arnaud Delorme, Glenn Hartelius, Henry Stapp, Edward Frenkel, Ashok Narasimhan, Neil Theise, Shelli Joye, and Leslie Combs. Arnaud Delorme discussed his work with Dean Radin at the Institute of Noetic Sciences involving experimental approaches to studying possible nonlocal properties of consciousness. Glenn Hartelius discussed the challenges of measuring consciousness. Henry Stapp presented his thoughts about quantum mechanics and the role of the mind. Edward Frenkel called for ethics while discussing artificial intelligence and reasons of the heart. Menas Kafatos talked about fundamental awareness and the foundation of the universe. Ashok Narasimhan explained how we can understand consciousness through qualitative content. Neil Theise encouraged us to think about fundamental awareness and the self-organizing universe. 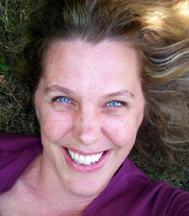 Shelli Joye outlined the Pribram-Bohm holoflux theory of consciousness. 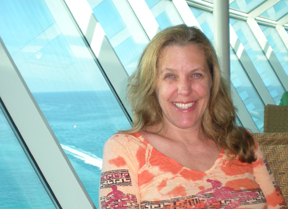 Leslie Combs delved into the real hard problem of consciousness. Menas Kafatos led a spirited panel discussion that included Seán Ó Nualláin, following individual paper presentations. Judy Gardiner chaired a session that continued our exploration of consciousness, with consideration of patterns, thresholds, and patterns featuring talks by: Judy Gardiner, Jerry Gin, Zann Gill, Ryan Castle, and John Engstrom. Judy Gardiner talked about consciousness without constraint, exploring the ways dreams and real life intertwine, and Aha! moments of revelatory insight can arise. Jerry Gin discussed connections between fundamental pattern and consciousness. Zann Gill talked about fundamental pattern and consciousness. Ryan Castle discussed universal consciousness factors. John Engstrom discussed deep ontic and epistemological parsings. Seán Ó Nualláin engaged in a dialogue with Jacob Needleman that many found to be one of the highlights of this conference, delving into the difference between problems we face and how we ask questions that are not related to our immediate concerns. Questions of being such as, “Are we alone in the universe?” “Is there such a thing as God?” “Who am I?” “Why do we live?” “Why do we suffer?” “Is death the end?” “Why is there evil?” “What can we hope for?” “What can we know?” and “How shall we live?” are the great questions that cannot be answered from a problem-solving state of consciousness. This past September I was visiting with my brother on his birthday and we ended up discussing the moon landing as we sometimes did. Our father worked for a company associated with the space program, we lived near cape canaveral, and grew up watching launches. My brother would sometimes get upset that we only went once to the moon, he thought it was such a waste, that we should go back and do something. This conversation I told him I'd thought heard something about a Japanese space mission going around the moon and they'd be able to prove whether the the landing was real. We were just having a lazy conversation out by the pool and when it seemed too complicated to pull the info up on his phone, we just dropped the subject. A few days later I went to Sedona for an event put on by www.bashar.org. I had an amazing, transformational time on the trip. I felt like I had opened up in a wonderful loving way. A few days after I returned home I was getting ready to go into a fast food restaurant, when sitting in my car I came across a Facebook post talking about shifts, people having different memories than the rest of the world. And one of the things they mentioned was the moon landing. He said that many of his friends only remembered one, but now a Google search will reveal 6. I was shocked. And them completely dumbfounded when my google search revealed the same information. Moon landings—plural. I thought back to the conversation with my brother, that we had many times over the years. And of my own personal shift in Sedona. When I finally went into the restaurant the cashier was busy with something and the guy behind the counter at the grill seemed surprised to see me, he asked if I needed something. I said I was ready to order. He said, I thought you were just in here and got your order. I said nope. The cashier came back and took my order but I swear the kitchen guy looked a little scared. I didn't realize at the time that it seemed I'd shifted again somehow or I would've been a little freaked out too. Later, I kept thinking about how my memory of one moon landing was so strong. I felt a little crazy. I didn't know about websites like the one Cynthia has. I was afraid to mention it to anyone. But finally I mentioned it to my brother that I'd had the conversation with and one of my sisters. She wasn't sure how many she remembered but he said he clearly only remembered one. It freaked him out. But we haven't spoken about it again. I've mentioned it to a friend as well and she only remembered one and it seemed to make her little uneasy but we really didn't speak about it again. I guess I haven't brought it up again with them because I'm a little afraid that their answer might change. Plus I don't really have anything new to add. But a few of my other friends have said no, they remember several and show me info in books to prove it. On the other hand I've recently met new friend and he only remembers one. Weird. In separate but similar experience I had recently made a mental commitment to living my best life. The emotions around it were very strong as was my intention. The next day I heard something about it being the anniversary of the shuttle Endeavor disaster. I don't remember that shuttle disaster, only the Challenger. And in my family that would have been big news, hard to miss. But sure enough a Google search showed the details. I'm beginning to wonder if strong emotional experiences have something to do with the shifts. Maybe your research/website will provide more info. I like the idea of parallel universes and feel that when I'm at my peak emotionally/energetically that I am lining up with the experience i prefer. Note from Cynthia: Wow--I recall the Challenger space shuttle explosion, but this is the first I've heard of seven astronauts killed in the Columbia space shuttle disaster. I remember that NASA stopped the space shuttle program when tiles fell off of one of the shuttles, which indicated lives were at risk--but I didn't heard the names of the seven killed at that time. I've just now looked up to see if any names were familiar to me: commander Rick Husband, pilot William McCool, Michael Anderson, David Brown, Kalpana Chawla, Laurel Clark, and Ilan Ramon of Israel. I am certain I would have remembered such memorable names as McCool and Husband, let alone that there had been a second space shuttle disaster! I was also surprised to see that apparently the Columbia 'disintegrated' rather than exploded--which is also rather peculiar and memorable--yet I'd not heard any of these 'old news' details of what apparently happened back in February 2003. With regard to the moon landings, I do remember there were numerous manned Apollo lunar landing missions--and six sounds about right. So that part doesn't seem quite so odd to me--but that doesn't mean there haven't been alternate histories! Emotions can provide us with a kind of memory 'key' that helps us remember some past events better than others. Hello, I have been watching your videos on YouTube and I would like to write asking about some strange encounters that happened to me a while back. Of course I also have experience with keys and pieces of paper and even clothes disappearing. And some items we have found after days. This has been going on for years, I will not get into that. And yes, I am convinced that reality does shift and I think we too, shift and go to other realities or timelines—we don't have same memories about past events and even real live conversations that took place and my husband does not remember ever occurring—I won't get into that. I would like to talk about two incidents in broad daylight. It's a little after 09:00 am I am waiting for the bus to go to work. I am alone at the bus stop and right there next to me. A man—dressed in total black is pacing up and down smoking. I turn to see him, and I get this strange uneasy feeling and so I move further away. Instantly, as if he read my mind, he smirks, wickedly with the expression on his face "Oh, so you're afraid of me?" Right then the bus comes, he gets on first and I follow behind him. He goes towards the driver—and I turn a few seconds, only to turn back, to see him, and he vanishes. There is only one door, the one we got on—and it was only like 5-6seconds I turned away, and he didn't get off—I would have seen him. How strange was that? And why was he smirking—did he know me? I remember he gave me the creeps. Second incident—at the same bus stop,waiting to go to work, I get on the bus, and I have my earphones on listening to the radio, a couple gets on, and by the baggage they carry, I gather they are tourists, blond hair, look like Scandinavians. They stop in front of me, and while the music is playing in my ears, they speak to each other, something about the bus ticket, and I hear them speaking Greek. (I didn't mention I am Greek)..I take out the earphones,just in case it was something on the radio, and they are speaking in Greek. At the same time, I get this feeling, that I am somewhere behind myself, and I'm watching this...from somewhere, and I know that they are not Greek, but I know some thing or what is translating their language and I'm right. As soon as this thought comes to my mind—I hear them speak—in English—asking other people on the bus for the tickets, and I'm left like shocked that I already knew this somehow, that they are foreign...but still—I hear them as if translated by something. When I told my friends about this, they said I need to see a doctor. What do you think these incidents were? Other realities colliding?I would appreciate your advice here. The really funny part of the second experience with the couple on the bus, is that I somehow knew beforehand what I would do and how I would react, like a scene from a movie I just watched seconds ago, and I did exactly what I had just felt—really weird. Like you say in your videos, a glimpse of the future, one of many probabilities, I just remember feeling awesomely weird. I hope people really open up and share their experiences. There’s so much more out there than we think; if only we paid more attention to what is happening around us. Note from Cynthia: Thank you so much for writing to me and sharing these two experiences with me! I've seen a person vanish, walking on a sidewalk near me, so I know how strange it is to witness such a thing, and that such things happen. Your experience hearing what seemed to be Greek but turned out not to be Greek is very interesting. I wonder if the language they were speaking was close enough to Greek to be understandable as almost-Greek? And if not, I have heard of other people communicating just fine across 'language barriers' because they really did understand the ideas that the other person was conveying! I love how you describe how in your experience with the couple on the bus, you felt you knew beforehand what you would do and how you would react, like re-enacting a scene from a movie you'd just seen seconds earlier. Almost like deja vu! I also love how you write, "There's so much more out there than we think; if only we paid more attention of what is happening around us." I completely agree! There is a TV series titled "Night Visions,” featuring an episode with Bill Pullman. I remember seeing it in the year 1998. This is the same year my family and I moved down south for two college years. I wanted to see if I could see the episode I liked, the one with Pullman, so I looked at IMDB for it—and found the series debuted in 2001?! How could that be? I distinctly remember, and I know I know that I watched it in 1998, at the house we lived in at the time. My mind can't fix or alter the memory of trying to adjust 1998 to 2001. Something is messing up, and if I have another one of those "States" I frequently experience, I'm sure it has a relation to these memory lapses or time shifting. Every time I think about the Night visions series, Am I having my own memory lapse, altered brain activity? Say for example, here is another minor incident involving making CD mix for my mother, one of her favorite country singers, Hank Williams. I saw a 3 CD set online, I downloaded the set and burned them to 3 CDs. This was a christmas gift, and I gave them to her the next day. Now it turns out, my brother said I already made and gave them the same set already, for her birthday. Previous day, I heard my mother looking for the Hank Williams CDs and I hadn't given them to her yet. So I took that opportunity to give them to her. She says, "Again?" I was thinking, what? What do you mean again? She and brother insisted I already made her the 3 CD set. The catch is, they original 3 couldn't be found, so the new ones I made replaced the previous ones. I had a calm argument with my brother, that I never made them before, this was the first time to my recollection. The confusion is, they remember them, and I don't. Note from Cynthia: Thanks so much for documenting your recollection that the "Night Visions" TV show was on the air and you were watching it back in 1998--which now apparently is a full three years before it ever officially began! Yes, this does sound like a case of alternate histories and reality shifts regarding the matter of whether you'd already given your mother the Hank Williams 3-CD set--and despite her recollection that you had previously given the set to her, no such 3-CD set could be found. What often happens with respect to these differently-remembered histories is that there is often an assumption made that someone has made a mistake in what they remember, and the mistake is often "voted upon," so that in the case of a two-to-one situation such as this where your mother and brother remember one version of a history, and you recall another, the majority opinion typically prevails. When the person whose memory is such discounted as "incorrect" feels certain things have changed (and that it's not such a simple matter of mistaken memories), having concerns for one's mental health are common--such as concerns about having had a memory lapse, or some problem with one's brain. If you are experiencing frequent observations of alternate histories and you are most always finding yourself in the minority opinion group, then a medical check-up would be advised. If sometimes you are in the majority group, and other times you are in the minority group, then it's possible you are simply experiencing more alternate histories and reality shifts than most. I am writing to you because I have noticed too many things to simply dismiss them as coincidence. After my divorce, my youngest child and myself had moved to a new townhouse complex. On a few occasions two different children appeared to my son and I. One claimed to live next door and was of east Asian heritage. I already met the people next door and so I knew it was a lie. I have never seen that girl since. Then another girl who claimed to know my son started speaking with him and asking about his school and that she knew him from school by seeing him in the hallways. My son has never seen this girl. Incidentally, she was also standing in the same spot next door as the other girl had weeks before on that separate occasion. My son even said, that is not the same girl as we saw the last time and I thought about it and agreed. She had short hair and glasses not dark skin. I have seen two doors down a mother and her children come out of their home and she was quite striking looking, very pretty. I haven't seen her in a while and now a different mother seems to live there. Yesterday a neighbour came canvassing to our door to support heart and stroke. She asked if we found our cat yet and my son held the cat up to show her yes. I found it odd since he's been back for over a month. We never let him out again since he is scared of the noise of the trains and may get lost again. I was surprised she didn't know, since she saw us back in March with the carrying case about to pick him up from someones back yard who was kind enough to answer the "lost cat" poster. She saw us and we told her we were picking him up. Also, I asked her if her mother had gotten a new haircut as I had seen a woman her age with the same hair colour unpack her car earlier in the week. I saw her mother again today just like her child said, with long hair. This new complex has only 14 dwellings. I have seen most of who lives here and I find it quite disconcerting, since I pride myself with good observational skills and can spot small nuances and changes. Today our cat is gone. Has disappeared it seems into thin air. We do not let him out since the time he got lost. The doors and windows are locked and I do not sleep walk. So I am really now feeling as though I have lost all control of any outside or inside events happening in my life. Can this be quantum jumping or a magician, whom I met earlier a few years ago playing tricks on me? I bought a pumpkin before halloween last year, opened the top and scooped out the guts inside just to find a perfectly carved circle at the bottom. My sons pumpkin was normal. I no longer find this entertaining or cool or intriguing, this mind over matter stuff. I would like to gain some peace. I do quite a bit of meditating, and can quiet the mind chatter easily, until things like this with no explanation happen. Looking for some solace. Hopefully, you can provide me with it. Thanks for writing to me regarding the numerous recent peculiarities you've observed with your neighbors appearing different and remembering things differently, and your cat having somehow gotten out again. Once you've accounted for all who might have had the opportunity to assist your cat in exiting the apartment, and the possibility that sometimes when we meet a bunch of new people, some of us confuse some of the people--then I'd say it does sound like you're experiencing far more than a typical amount of reality shifts and quantum jumps. One possible factor might be that you and your son are feeling energized and ungrounded to the point that you're a bit like live electrical wires, creating a localized zone of increased psychokinetic activity. If you're also noticing things moving around inside the apartment as if on their own, then this seems possible. Physicist and author Michael Talbot's book, "The Holographic Universe" describes how when he was a young boy, things moved around inside his house quite a bit. So if the increase in reality shifts and quantum jumps is associated with your son, it should taper off as he grows up a bit. Helping him learn to stay calm through meditation and energetic grounding practices should also help. I've read your article about the quantum jumping into another reality. I've been studying quantum physics via YouTube, law of attraction, meditation and reading a lot of books per those subjects. I think I understand the quantum jumping, and was wondering about the possibility of jumping this verse or reality into a past reality? The goal is to turn back a couple months and transition to the other parallel verse on a bad outcome that was dealt to me and hope to live the opposite side of the bad outcome into a good outcome. Hopefully this makes sense. I'm hoping to transition into the next parallel world. See, I fell for someone :/ and its been hard, and I'd rather jump ship and see what life would of been like being with that person. Anyways, hope to talk to you soon. Thanks for writing to me and letting me know that you'd like to live in a different reality. While 'big jumps' are probably possible, most people I know experience jumps to adjacent realities--albeit ones that sometimes come with markedly different past histories. So a quantum jump to another reality tends to feel almost normal--and usually like it's the same point in time and space. So rather than "turning back the clock," quantum jumping involves more of a lateral movement into a reality in which changes have already occurred. It's a bit like flipping channels on TV and joining a program already in progress. There are ways to explore how it would feel to take the path not traveled--and those include working with an intuitive coach and doing a meditation or hypnosis session in which you get to see for yourself how things might be different. 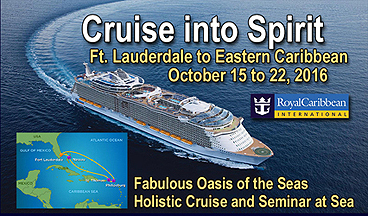 Please let me know if you'd like to schedule a session with me to explore this further than emails allow. How would one get into the proper mental state for hypnosis? How would one know if they had reached the proper mental state for effective hypnosis? Thank you. Some people are more hypnotizable than others, and enter into a state of hypnosis more readily. For the easily hypnotized, many might not know they'd been hypnotized unless they saw a videotape of themselves--and for others, it's possible they might remember parts of the experience afterward. During the hypnosis, one is in a different state of consciousness that feels a bit dreamlike. I haven't yet heard news of Henry Kissinger passing away from people writing to me, nor my own recollection. But of course this doesn't mean that in some realities he has--including the one you're remembering where he died over ten years ago. I'd love to know if other people remember this, and what details they recall. Just found you when searching for info on muscle testing. Really like your presentation and feel of your website. I have a simple question about muscle testing. Does it matter what fingers we use? I find it comfortable and easy to loop my middle fingers—despite your point that it indeed has more resistance than the pinkies. However, I know that there are different energy meridians running through each finger and I wasn’t sure if that would affect the results, in your opinion. Thanks again—really appreciate the mind and life-expanding ideas you’re sharing! Thanks for writing with this question about whether it matters which fingers we use for muscle testing. Since what you're doing is tapping into awareness of how your subconscious feels regarding various options and choices, whichever fingers feel best to you are just fine to use. You can get a sense of how well this is working for you by testing it out for yourself. Is time being altered by the Illuminati using CERN??? Is that what all this "Mandela Effect" talk is about? Or are these unusual occurrences alternate realities. I have seen some of these Anomalies, Don't know what to make of them just yet, still trying to gather more info. Since indigenous people have been reporting reality shifts, quantum jumps, and alternate histories since the dawn of time, it seems unlikely that CERN or any modern groups would be responsible for them. Is it really possible to design with weeds? 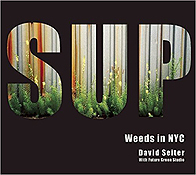 SUP takes us on a journey to answer this question while exploring the overlooked sustainable ecology of plants springing up from sidewalk cracks, empty lots, parking lots, patios, and alongside buildings in New York City. Spontaneous Urban Plants, or "SUP" for short, are providing urban environments and residents with helpful resilience against flooding, unexpected medicinal and food sources, and phytoremediation--which is a fancy word for removal, degradation, and containment of contaminants in soils, sludges, sediments, surface water and groundwater. I've long been fascinated by the way plants can reclaim urban landscapes, such as unused freeway on-ramps, in a remarkably short period of time, and SUP takes this topic quite a bit deeper than merely showing surreal images of plants popping up almost anywhere. 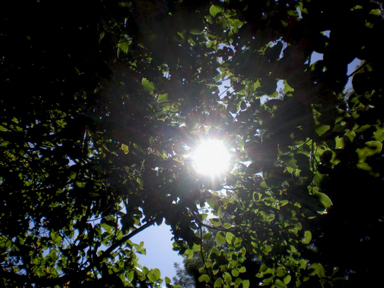 There is a grander vision to SUP, described by Seiter as: "Our goal is to question the hegemonic interpretations of weeds and the top-down approach to mapping urban space while at the same time instigating a more robust discussion on the role of spontaneous urban plants in our climate-adapted future." Seiter's recognition of the renegade, adaptive infrastructure provided by weeds in NYC is what makes this book so fascinating to read. City planners clearly did not have these plants in mind, yet the plants themselves are playing an active role in such important areas as mitigating flood damage from flash rains. The photographs in SUP make this book a joy to browse, and this book is beautifully designed with historical descriptions of featured plants, and seasonal graphic charts providing information-at-a-glance for each plant's time frame for seed dispersal, flowering, and leaf growth. The combination of charts and photographs makes this book truly fun to flip through as a coffee table book, with just the right amount of information available when greater depth is desired. What a delight to read a book about colonizing plants that have successfully set down roots in the Big Apple, despite often being labeled such things as "invasive" and "alien"! There is something particularly refreshing in seeing the ways that these plants are building new urban ecosystems that bring shade, beauty, food, shelter, and harmony in surprising ways to unexpected places. This book is guaranteed to stimulate conversation about our stigmatization about weeds, and how some of these hardy, resilient plants just might have some of the answers we've been looking for. Highly recommended!